Anne McCaffrey is the writer who first hooked me into reading science fiction, back when I was a kid. I've read just about all her books (aside from some of the many collaborations she wrote in the later part of her career, which were sometimes a bit disappointing. I read this one in 1990 when it was originally published, so it wasn't very fresh in my memory. I listened to the audio version of this one, and while I enjoyed it, it was certainly different from my hazy recollection of it. The story is set in a world in which powerful telepaths are instrumental to space travel, including essential deliveries of cargo. Three-year-old Rowan is an orphan, the lone survivor of a natural disaster, whose mental calls for help when she was trapped were so strong that they were heard by telepaths on other planets. Because she has no living relatives, and she is such a strong telepath herself, Rowan is trained to be a Prime, the most powerful of all the telepaths, who will one day be in charge her own planet. But the distressed three-year-old has a long way to go before she'll be ready for such a responsibility, and there is a terrible alien menace headed toward her unsuspecting star system. I enjoyed revisiting this series through the audio version of this book. It was funny, though, that this time around I had an entirely different reaction to the love interest. I vaguely remember him being dashing and romantic - and Rowan clearly thinks he is. But this time I found him to be sexist and patronizing, especially in the beginning, and I wasn't entirely convinced that he was deserving of the Rowan's love. The Rowan was also a bit moodier and more self-indulgent than I remembered. Those are minor quibbles, though. I find Anne McCaffrey's science fiction to hit the spot when I'm in the mood for a character-driven story that takes its own sweet time in the telling. 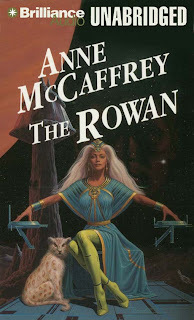 Her Pern books are still my very favorites, but as far as I'm concerned, any Anne McCaffrey novel is a good one. 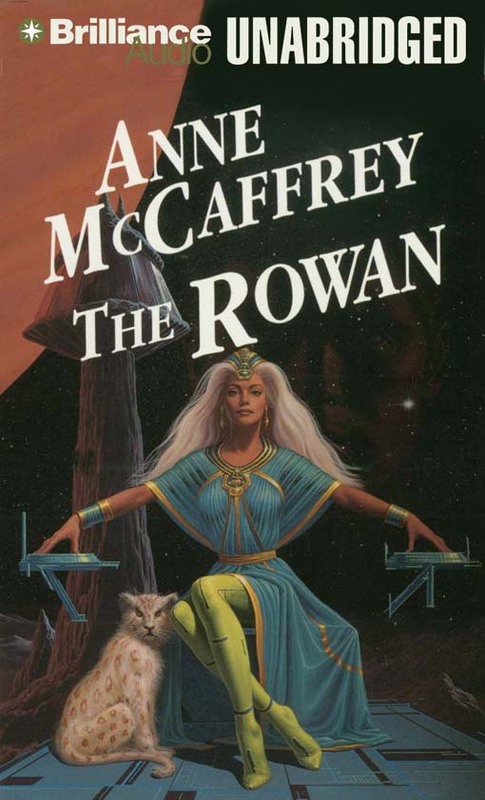 The Rowan (#1 in the Tower and Hive series) by Anne McCaffrey; narrated by Jean Reed Bahle (Brilliance Audio, 2007); originally published in 1990. Kailana - I'll be curious to hear your thoughts. I believe the next one focuses on her daughter, and again, I have such vague memories of it that it'll be like reading it for the first time, I'm sure.